In my experience, these requests fall into two broad categories: big organisations (usually charities) who know exactly what they’re doing, and smaller, often individual-led events, where it just seems like a pragmatic way of avoiding spending money. 1. Photographers just love taking photos of interesting things. You do it anyway, whether you’re paid or not. This will be a chance to have fun with your hobby, AND do good! 2. 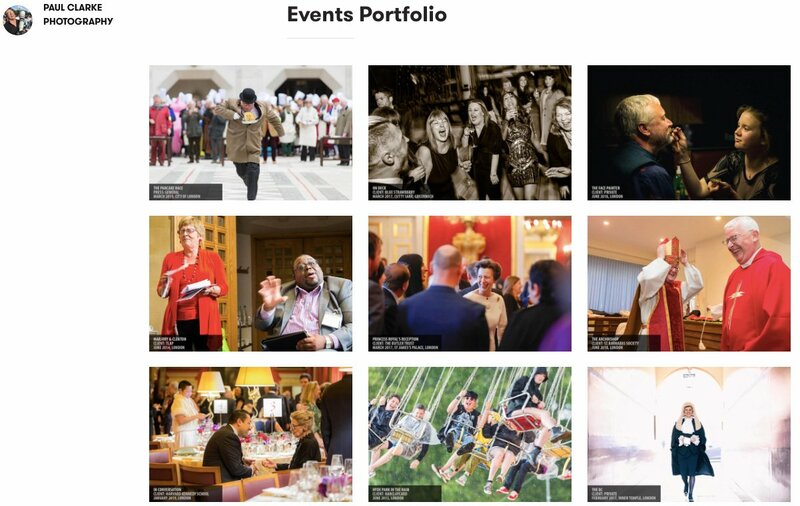 Our event is so cool that it will substantially enhance the portfolio of anyone who takes the photos. You’re lucky we aren’t charging YOU! 3. The only real cost to anyone doing this is their time. You already have the kit, and it’s not like you need to spend any money on film, do you? 4. As long as you’ve got a nice camera, you’ll do a good enough job for what we need. 1. Yes. We do. All the time. But the critical factor here is that it’s our choice to decide what we want to shoot, and how we want to shoot it. There’s a world of difference between grabbing a few frames of an amazing act, or building, or crowd – and delivering the 100+ high-quality finished images that are required to do an event job properly from beginning to end. 2. This one is more challenging. We all started somewhere. Did I charge full rates for my first events? Of course not. I did lots of cheap, and indeed, free, stuff. But it wasn’t always that great. I was learning. Maybe that’s all that they’re after when they ask for pro bono work: key words you sometimes see are “budding”, “student” or “up-and-coming”. These are often code for: “we just want someone cheap” – and if that’s the case, be really clear that you’re not expecting a full-blown professional job (and that you might have to bite your tongue if the results aren’t everything you dreamed of). And do remember that if someone’s already got a great portfolio (go on, check, it’s easy) you really don’t have the negotiating position you think you have. 3. No. No. No. What about insurance? What about kit that gets broken on the job? And it does wear out eventually. Then there’s opportunity cost. Try this in the peak season months of March-June or September-November and if you can find a good professional that’s available, they’d very likely also be able to pick up a paid booking in that slot. Hence the sad refrain I keep hearing “well, we did have someone, but they let us down the week before.” Yes. Because they got offered actual money that would feed and house them. 4. A. Nice. Camera. There’s a world of difference between a £1,000 prosumer dSLR with a kit lens and the multiply-resilient bag of tricks that a professional will bring. If something goes wrong with any of my stuff on the job, I’ve got an immediate replacement to hand. If the lighting is a disaster, I’ve got low-light equipment that will keep the show running. If there’s a sudden request for an immediate press image, I’ve got the editing kit with me. And honestly, it’s really not so much about the equipment… It’s knowing what to shoot, when to shoot, when NOT to shoot, how people will react, behave, vanish after they’ve collected their award… The thousand subtleties that set a real event photographer apart from the herd. So let’s take a look at the first of the types I mentioned above. 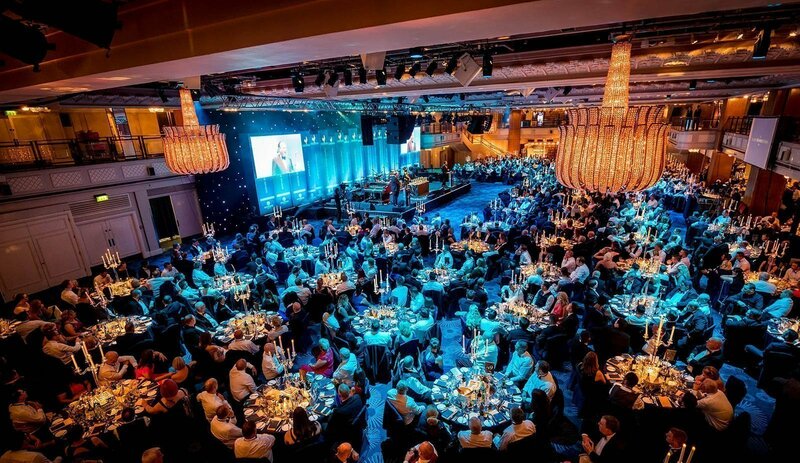 The charity that’s booked the Grosvenor House Hotel for a celebrity gala. It’s a cheap shot to observe that their CEO earns £250k. I mean, big complex organisations need experienced and skilled leaders. But yeah. 250k. On the ground, they’ll have a budget for this event. And very likely a big budget. Yes, they might get a favourable rate from the venue, and some of the suppliers. But dig into the real work that’s being put in to make this happen… Did the lighting riggers all decided to forgo half their hourly rate? The bouncers? The sound operators? The caterers? The cleaners? The bar staff? Did the philanthropic drinks industry decide to take a huge loss on the booze for this one? NO. And yet. The one thing you are left with when all the branding has been taken down and the guests have gone home are the photos. A three figure cost (in general) in an overall budget that may well have six figures. And you placed that responsibility in the hands of someone who might well not even turn up, and if they do, not have the first clue what they’re doing? Yeah, and you put out a request on your channels for a photographer, all the same. And maybe the professional photography community noticed, and you started to get publicly fried. (And the bigger you are, the more oil we like to pour into the pan. We talk to each other all the time, in forums and groups. If you approach half a dozen of us, you’re almost guaranteeing to start a conversation you probably don’t want to be happening.) You might have to start deleting some of your posts, and getting drawn into reputation defence (good luck with that) which is only going to eat up even more of your resources and social capital. So don’t. It makes absolutely no sense. But what if you’re just doing a small event – and there really is no money to speak of associated with it? I am inclined to be more, er, charitable to these. I’d expect a lot of transparency about the other costs for the event, and a frank discussion about expectations. But if I walk in and see cases of free champagne or – and this did happen – a photo booth in the corner that had been paid for with actual cash, I will be out of that door in an instant. But you do want someone to take your pictures. And you’ve got no budget to speak of. Well, if you’re a big charity, you have. Go away and come back when you’ve thought it through a bit more. And if you’re not? Ask your network, by all means. But better to ask them directly. If you have a patient/supporter/related industry/personal network, use that first. Charity is generally better offered than sought, and there may be some predisposition to giving this several-hundred-quids-worth-of-services as a charitable donation. Try to avoid big public appeals for help. You may not get the response you hoped for. And if you do ask, publicly or to your own network, avoid weasel words like “budding”. We know what you mean. Say something about how you’ve set up the event, what you’re spending money on and what you’re not, and what you need in terms of basic coverage. If you really just need award winner photos for press releases, say that, and don’t expect someone to be there two hours in advance to do all the set-up and networking pictures. Be honest about how much you’ll value what you do get, and that you recognise the importance of having this done well. If it doesn’t need to be ‘perfect’, say so. And my door is open – if you are thinking about doing this, get in touch – I will happily offer advice on how to frame and pitch it, for free, in the interests of seeing my profession valued as it should be. Email paul@paulclarke.com, any time.